The earthquake with a magnitude of 5.3 shook North Maluku on Wednesday (1/16) at 17:49 WIB, this earthquake centered at a depth of 10 KM and was 128 km Northeast of Morotai Island, North Maluku. "Based on BMKG, the epicenter of the earthquake is located at coordinates 128.7? BT and 3.48? LU, with a magnitude of 5.3", according to the report of the Center for Volcanology and Geological Disaster Mitigation (PVMBG), Ministry of Energy and Mineral Resources ( ESDM). From the PVMBG analysis, the earthquake was estimated due to the subduction of Pacific Plate activity against the Philippine Plate. Where the geological conditions of the area adjacent to the epicenter are generally composed of volcanic rocks pre-tertiary and some rocks have undergone weathering. 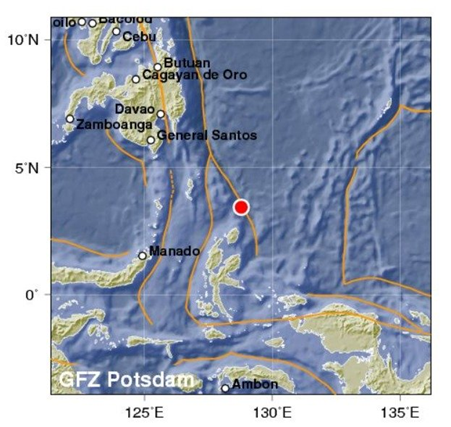 PVMBG also revealed that this earthquake in North Maluku did not cause a tsunami wave, because its energy was not strong enough to cause deformation under the sea.